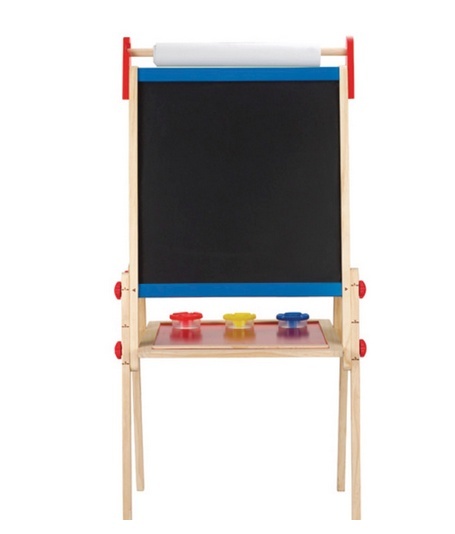 Your little artist can paint, write, or draw with chalk. 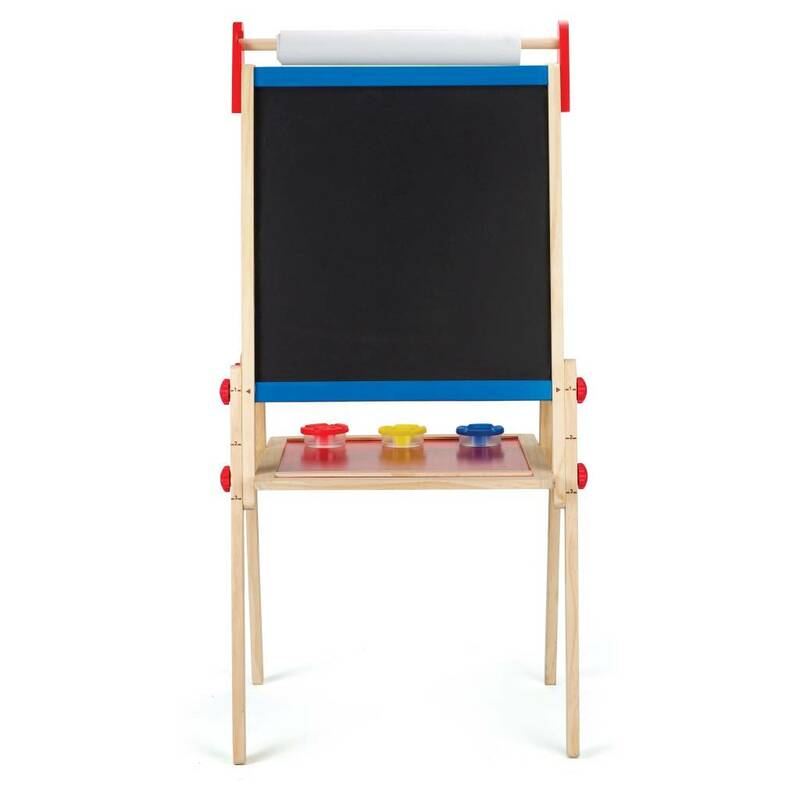 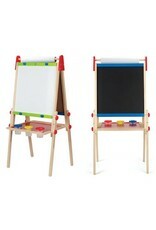 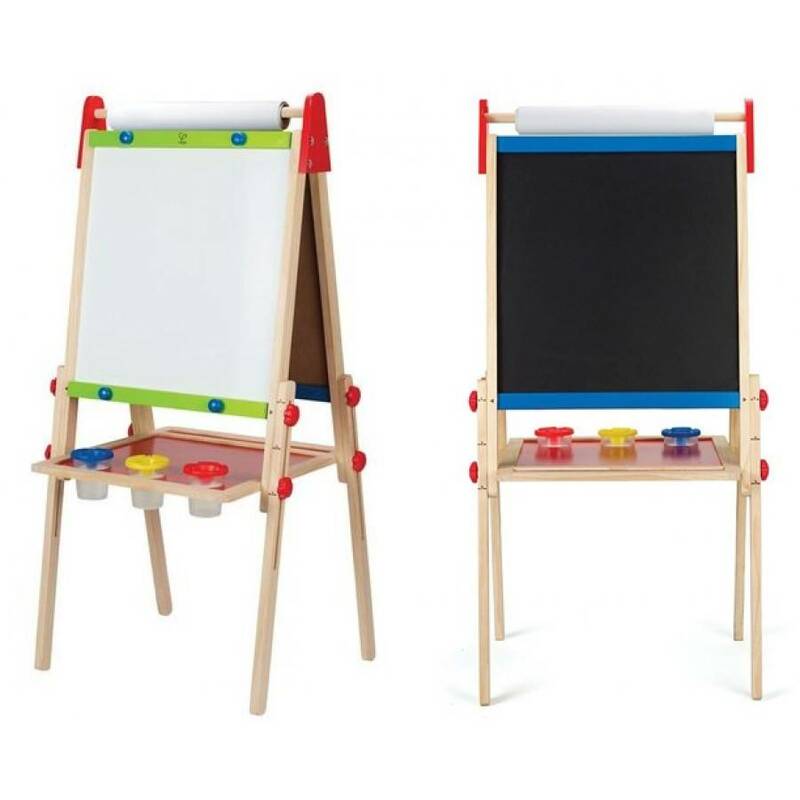 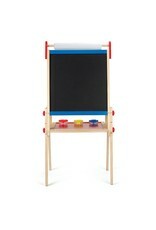 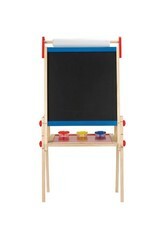 Hape's All-in-1 Easel features a magnetic board on one side & a chalk board on the other. 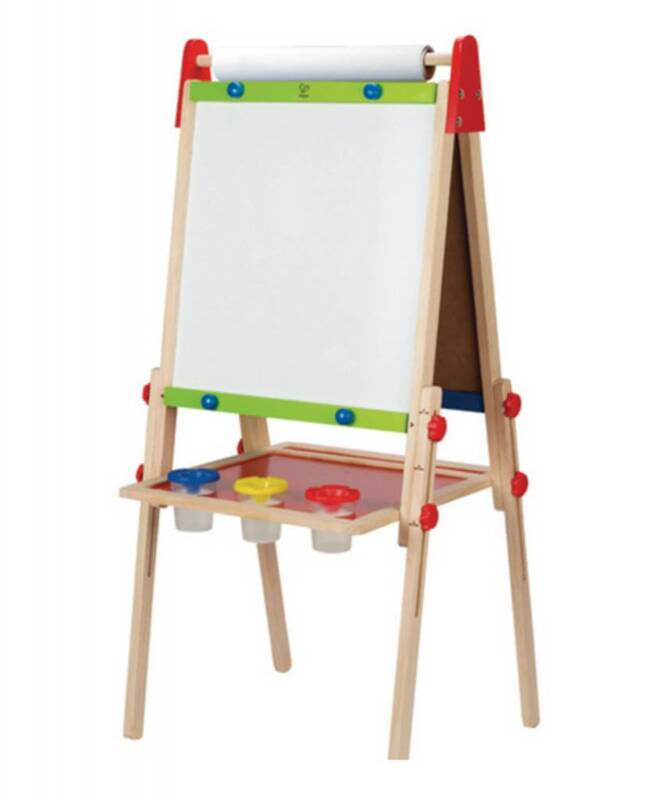 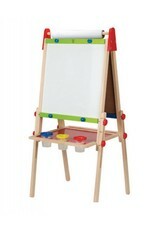 This adjustable-height double-sided wooden easel grows with your child & has a place for everything. 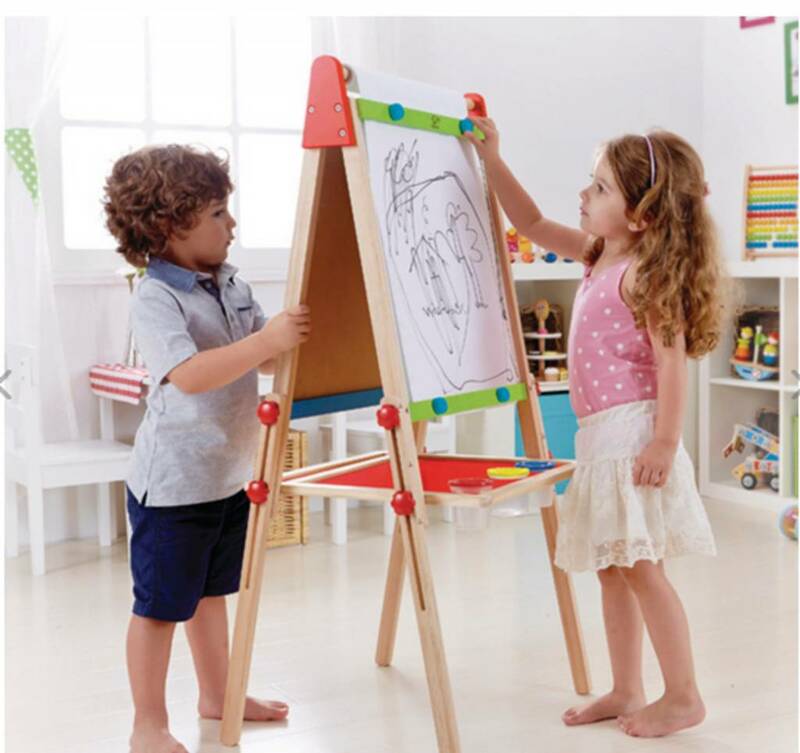 Height is adjustable from 37.5" to 43.5"